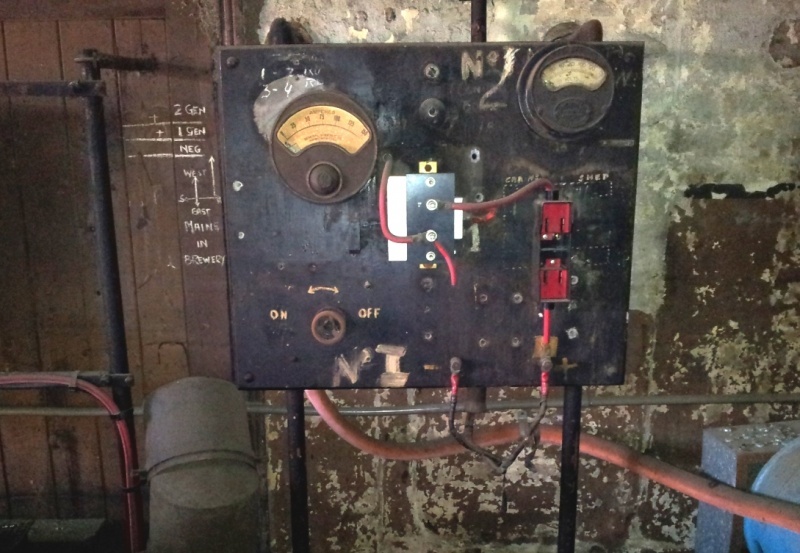 Some heavy duty switch gear and a range of ammeters, some form of early electricity substation ? Before the grid was crested, some of the big houses generated their own power. Typo, "crested" should read created. Yes it a DC generator control system for quite a heavy generation system, at least two generators. The two round things top left control the excitation of the generators by altering the amount or resistors in the generator field circuits. Looks like feed out to four circuits, possibly to supply power to tram overhead wires or similar. Belatucadrus & Fruit Bat /\0/\. Well, Done.